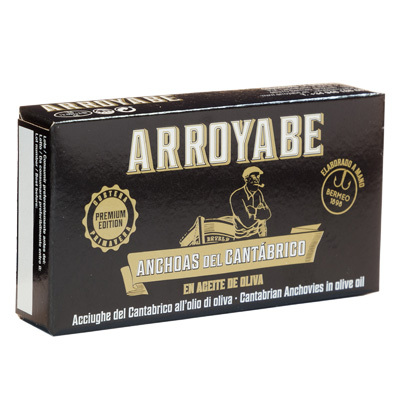 Cantabrian Anchovies are the most appreciated and renowned anchovies worldwide for their meatiness, smooth texture and intense flavour. 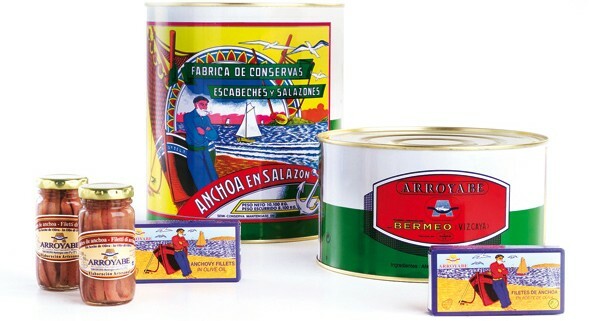 This premium anchovy (Engraulis Encrasicolus) is caught only in the Bay of Biscay and follows ancestral techniques for its preparation. 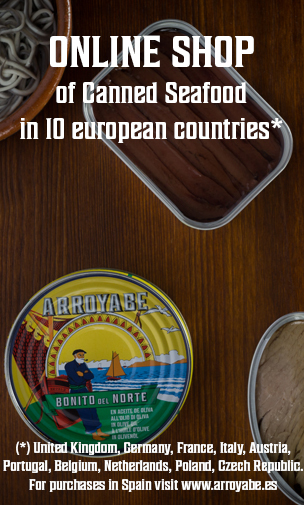 Both the fishing and the elaboration have configured a deep-rooted cultural trait along the coast of the Basque Country. 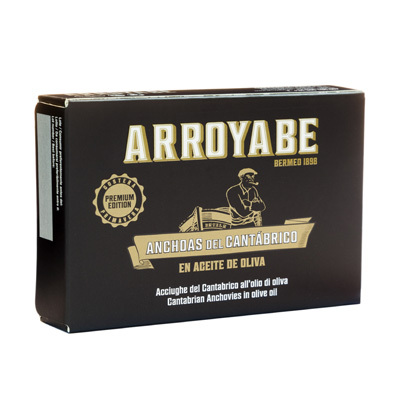 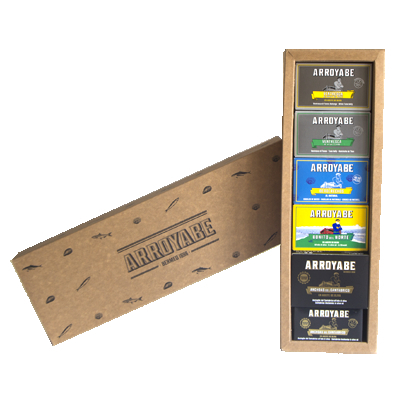 Arroyabe has been dedicated to the traditional preparation of Cantabrian Anchovies for over 100 years. 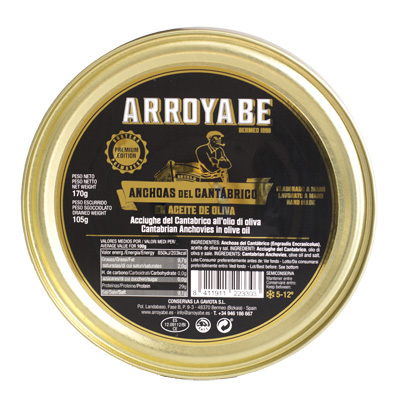 Wild-caught during spring using sustainable fishing techniques, the Cantabrian Anchovies are presalted and classified fresh. 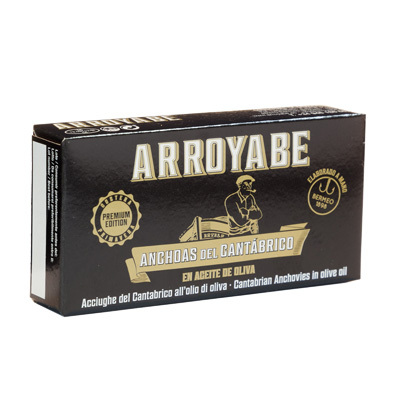 Then they are left to mature in barrels with salt. 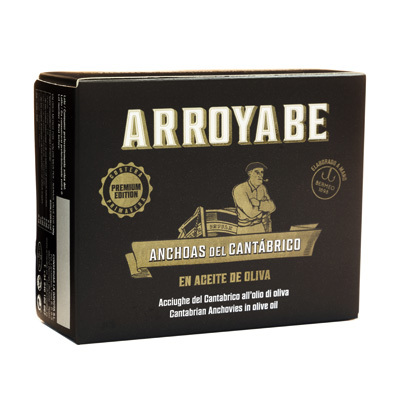 While the maturation process, the anchovies get their best flavour and texture. 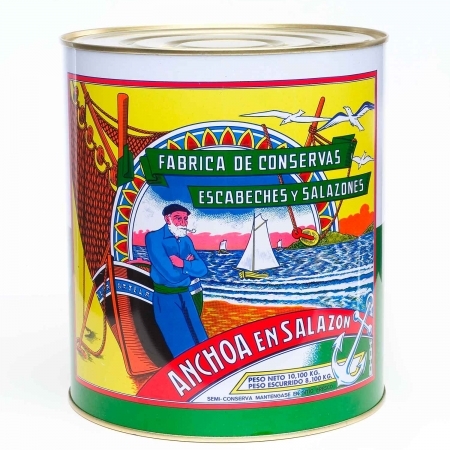 At the end of the maturation process, the so called salted anchovies might be commercialised in tins, which require self-preparation at home. 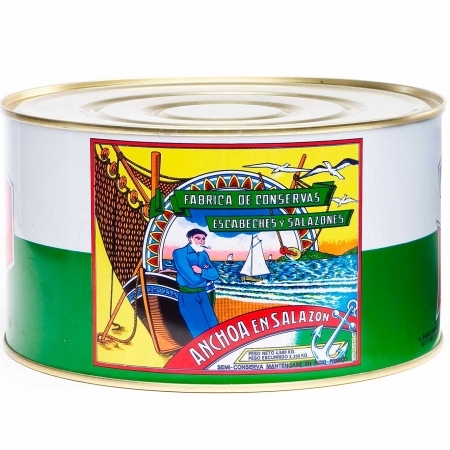 However, the anchovies are normally filleted and packed in the factory. 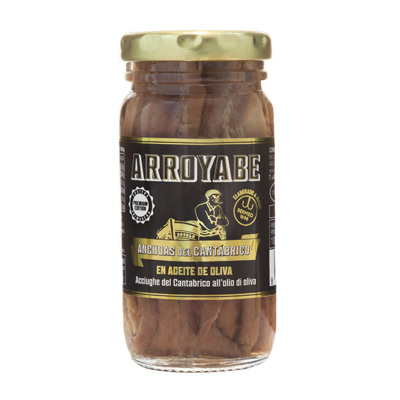 These ready-to-eat anchovy fillets are cleaned manually and filled with olive oil in glass jars or cans.